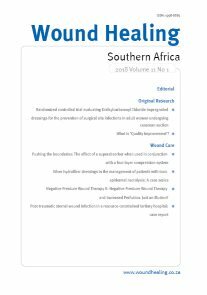 The “CONSTITUTION OF THE WOUND HEALING ASSOCIATION OF SOUTHERN AFRICA” was last updated in 2010. The constitution includes the name, purpose, objectives, membership, committees, meetings, fees and dissolution. Click here to view and download the Constitution.